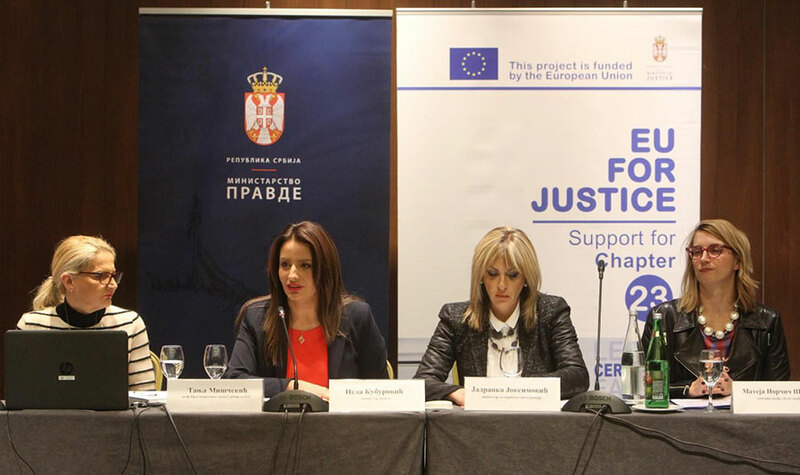 During a round table dedicated to the review of the Action Plan for Chapter 23, Minister of Justice Nela Kuburovic said that the written comments on the first draft of the revised Action Plan are to be delivered until 8 February and then discussed; a suggestion will then be put forward and sent to Bruxelles, on the basis of which a new text will be written and a public consultation will begin. Kuburovic said that Serbia has been undertaking measures pertaining to the Action Plan for a while now, but that after three years the time has come for some activities to be revised, in order to see what has been done and issues lie ahead. She said that everything that has already been done would be erased from the revised plan, and that some things would be coordinated with new strategies, as well as that the budget will be fixed when it becomes certain what activities to undertake. Minister of European Integrations Jadranka Joksimovic judged that Serbia made exceptional progress in the area of rule law. She said that Serbia and Montenegro began process of EU integration by implementing provisions concerning the rule of law within Chapters 23 and 24, but that Serbia first had to make an Action Plan and only then receive transitional measures, noting that it is necessary to do a review as certain deadlines and activities were rather ambitious. “I believe that a transparent and inclusive process will set realistic deadlines and activities,” said Joksimovic and added that the review doesn’t mean that all the planned activities would be dropped, but that only those already implemented will be annulled. Head of Serbia’s EU accession negotiating team Tanja Miscevic said that the Chapter 23 Action Plan review within the EU negotiations is a voluntary process. “No one gave us a deadline. It is our decision and assessment that a review is necessary,” said Miscevic. Deputy head of the EU Delegation to Serbia Matea Norcic Stamcar said that she is aware that the benchmarks covered by the Chapter 23 are very demanding and that the chapter deals with key judicial institutions, judicial proceedings in a timely manner and the independence of the judiciary from political institutions, as well as that the EU is aware that it is difficult to achieve those goals. When asked to name activities for which the deadlines were ambitiously set, Kuburovic cited Constitutional amendments. She said she expects the Parliament to start working it at the next spring session. She added that amendments to the criminal proceedings process, that have been the topic of many conversations over the past month, would be presented by the end of February.